Border Security Force (BSF) has released the notification for the 1072 vacancies, as per the BSF Constable Recruitment 2019 notification details the said vacancies are for the post of Head Constable. Application form in online mode has been called form the interests, eligible and physical fir candidates to apply for the Head Constable vacancies. 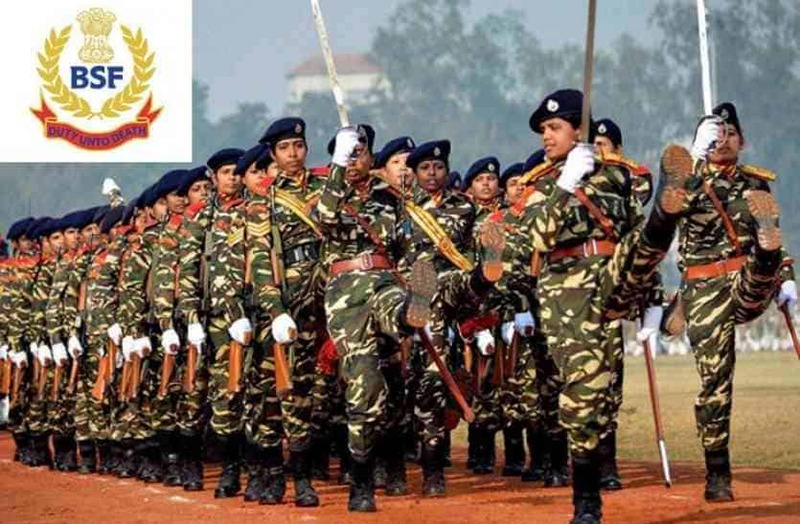 The application process for the BSF Constable Recruitment 2019 will starts from 14 May 2019 and the last date to fill the application form has been scheduled on 12 June 2019. Before filling the application form must read all the terms and conditions carefully. The details of complete eligibility norms and other terms and conditions are provided below. So you are suggested scroll down the page and attain all the important information. Now go to “Recruitment” link visible at the top menu bard and again press the “Recruitment” link from the drop down list. On the next page press the “BSF L/No. 18/09/2019/C-Rectt/BSF4114-4405” link. A PDF file of the notification will be appear at your screen, read the notification details carefully. Now press apply online link, fill the application form, upload documents and pay the application fee. Finally submit the form and take a print out of the submitted form for future reference.